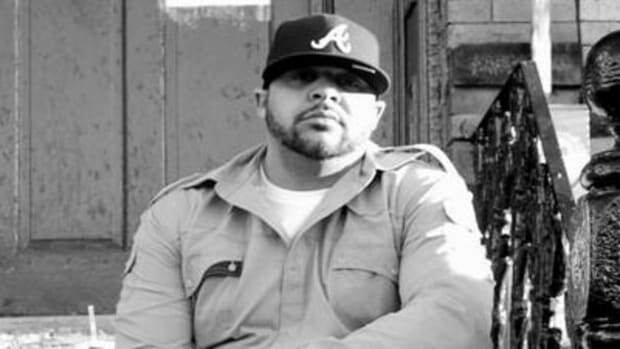 What are the chances that a day after I launched into a “remember the &apos;80s?” riff, thanks to 1982’s new track, Slaughterhouse alum Joell Ortiz would drop a cut called 80s Baby? Apparently the hip-hop gods really want me to think about my childhood. Disappointingly, 80s Baby contains nary a mention of BK Knights, hyper color shirts or Airwolf. What is does contain, however, is a pounding, percussion and horn-driven beat from DJ Green Lantern, and, of course, nearly three straight minutes of relentlessly dope and precisely delivered flows from Ortiz: “You could put on six layers of clothes and you&apos;d still be see through / we don&apos;t believe you / your story ain&apos;t rough enough for a sequel.” Budden may be Slaughterhouse’s most talented emcee, but Ortiz is their most consistent, and, all things considered, perhaps their best. Anyone disagree? With his album Free Agent lost in the ether, Ortiz is turning his attention to his new mixtape YAOWA (the name comes from his ad-lib), which will contain this track and many more when it drops in October…hopefully. Download 80&apos;s Baby at RefinedHype.com!